This is my fantasy orchid. 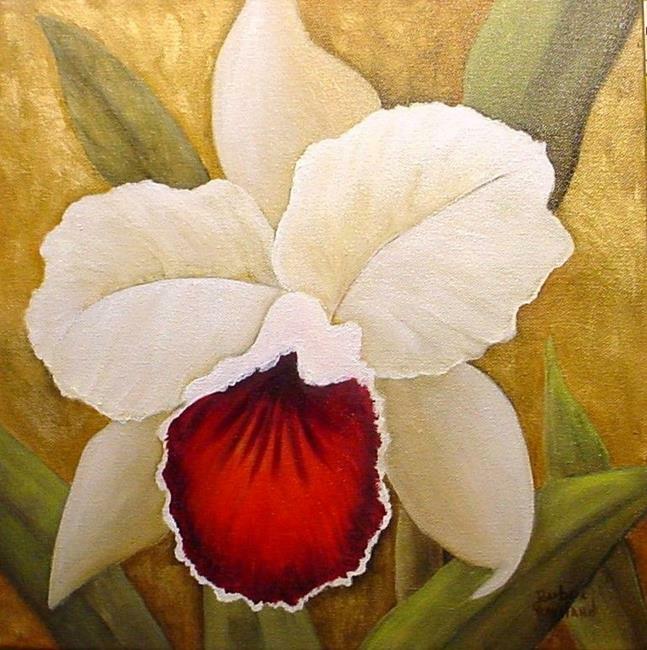 It is done in oils on a gallery wrapped canvas and is in greens, red,and golds. The sides are painted and it has a hanger. It comes to you ready to display.